Whether you’re running an e-commerce business, blog, SaaS company or service-oriented business, chances are you’re focusing on converting daily website visitors into new leads and ultimately sales. The on-site experience must be a focal point for any digital marketer looking to make the most of their traffic acquisition campaigns. Pop-ups have become THE method of choice for engaging and converting visitors. 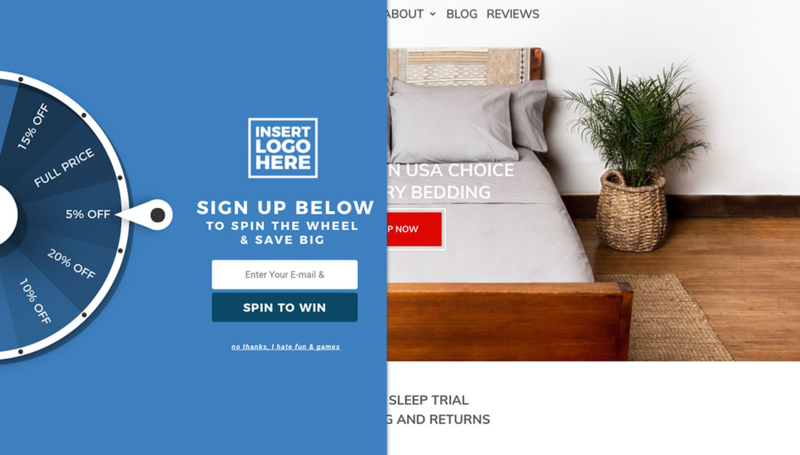 In this article, we’ll review six different examples of pop-ups that you can implement on your website to better convert traffic and drive visitors to take desired actions. First, What is a Website Pop-up? A pop-up overlay is a pop-up, banner, or slide-in that opens within the same browser window. These are your email capture pop-ups, website notification bars, exit pop-ups, etc. When website pop-ups are implemented correctly, conversion rates are going to see a big increase. If you’re not incorporating pop-ups in your conversion marketing strategy, you’re missing out on conversion opportunities. Period. Since we’re strictly discussing ways to add to and improve your website experience, we will strictly be covering use cases that drive conversions. Other practices like prestitial ads, video ads and so on will not be covered. Would you opt-in to this pop-up? Probably not, right? The pop-up design is generic, unengaging, and forgettable. The other aspect of why this pop-up most likely performs poorly is the lack of any sort of incentive. Don’t think you can afford to offer a discount or freebie? Then incentivize and sell the hell out of your newsletter! It’s simple. 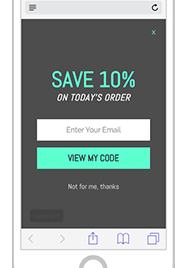 Grab your visitor’s attention with design and drive action with a well-marketed incentive to opt-in. 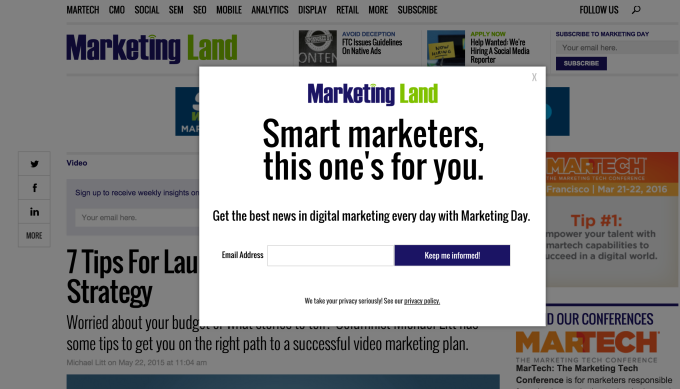 Marketing Land keeps things very simple with this pop-up. 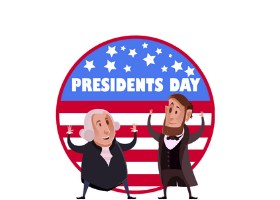 The key differentiation to point out is the branding (logo at the top and matching color scheme), a catchy headline that appeals to their target market and a very strong call to action. Now that we have a better understanding of what we’ll be reviewing, let’s jump into some example use cases for pop-ups. 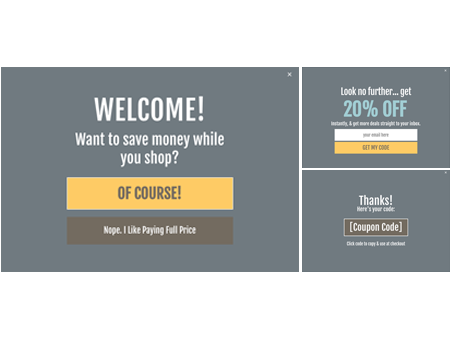 This collection of pop-ups comes directly from Justuno’s pre-built template collection. We wanted to make it extremely easy for any business to launch effective pop-up overlays without the need for design resources and segmentation knowledge. The Result: A collection of pre-built pop-ups with design, targeting and segmentation built right in. Now, in just a few minutes, you can launch a pop-up backed by industry leading practices! Need more customization? Pop-up design and display rules are completely customizable to fit your business’s needs. This pop-up is the ultimate top of the funnel lead capture tool. By rule, this pop-up will display to a visitor who has spent more than 10 seconds on the site or landing page and has never engaged with the pop-up before. This ensures that you’re engaging visitors only after they have had a chance to view your website. Additionally, this pop-up will only display to visitors who you haven’t converted yet so you won’t have to worry about annoying current subscribers with a pop-up that they already engaged with. 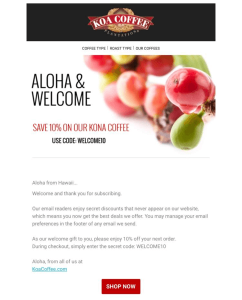 The pop-up includes a coupon code incentive by default but you can easily remove or swap incentives with something like gated content, contest entry, email series, or another item of value. P.S. Want to collect more lead information? Here’s how to add additional form fields to your pop-up. With mobile traffic accounting for more than half of total website traffic in certain cases, the need for mobile lead capture has never been stronger. If you don’t have a mobile website pop-up, you’re missing out on tons of lead capture opportunities. Since the mobile experience is completely different than that of desktop, design and display rules have to adjust accordingly. Don’t worry, we’ve taken care of all of that for you with the mobile email capture pop-up! This overlay, by default, will display to mobile visitors after one-page load to be in compliance with Google’s mobile experience policies. This ensures that your overlay is not interfering with the visitor’s ability to access mobile content on the first-page load. Design elements have been simplified and increased in size for improved readability and usability. As was the case for desktop lead capture, this pop-up is completely customizable to fit the needs of your marketing strategy. Exit-intent technology has enabled marketers to engage visitors at the exact moment they are looking to leave the website. What does this mean for you as a marketer? You can set up an exit pop-up and it will provide your business with one last chance to convert that exiting visitor before they leave your site. 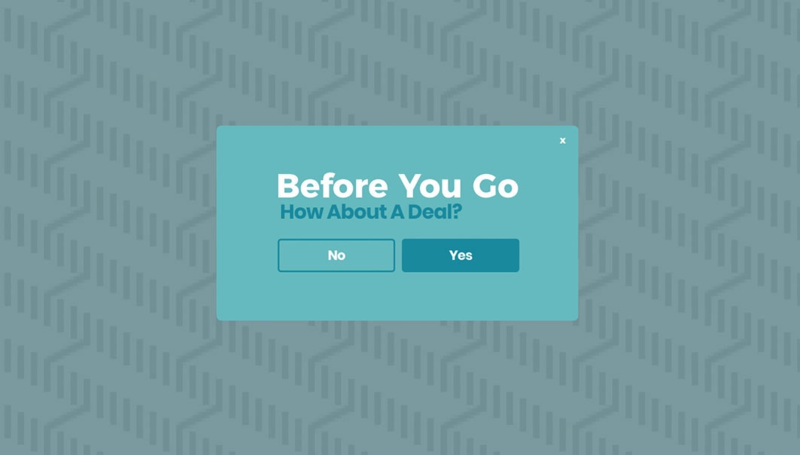 You can add an exit offer pop-up to your site using this pre-built template. By default, this pop-up will display to visitors who are exiting your site and have never previously engaged with the pop-up. 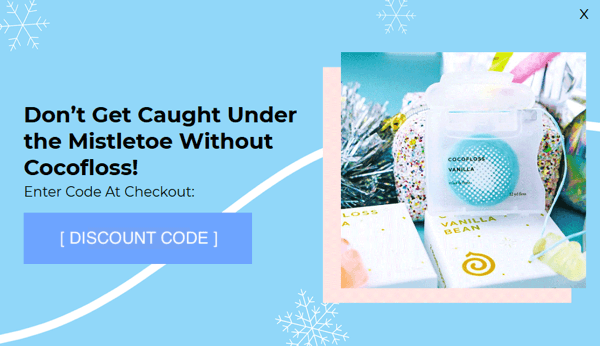 If you’re selling products on your site, you can have this exit pop-up display to shoppers who are leaving your cart and checkout pages to help reduce cart abandonment rate and increase sales conversion! Gamification marketing is a fun means of engaging your visitors and boasts some of the highest traffic conversion rates out of any onsite marketing practice. The spin-to-win pop-up gamifies the lead capture process by displaying different levels of incentives that would make a visitor more inclined to convert into a new lead. This pre-built pop-up can be added with one click but you may want to add your logo and change up the color scheme to match your website. The pop-up will display after 10 seconds of a visitor coming to your site. If the visitor has seen the pop-up during their current visit, a clickable tab will show, allowing them to open up the pop-up whenever they’d like. One of the simplest forms of traffic segmentation you can implement as a marketer is treating new and returning visitors differently. Seems obvious right? Still, so many companies continue to treat all traffic the same and with pop-ups, which can be damaging to your site experience. The solution? The new visitor pop-up! This pop-up will only display to new traffic after a 10-second delay. This pop-up is also designed with 3 steps involved. This is based on the science of micro-commitments which states that if an individual takes one action, they are more likely to continue with an action that is consistent with their initial action. In short, if they take the right action in the first step, they are far more likely to complete the opt-in process. 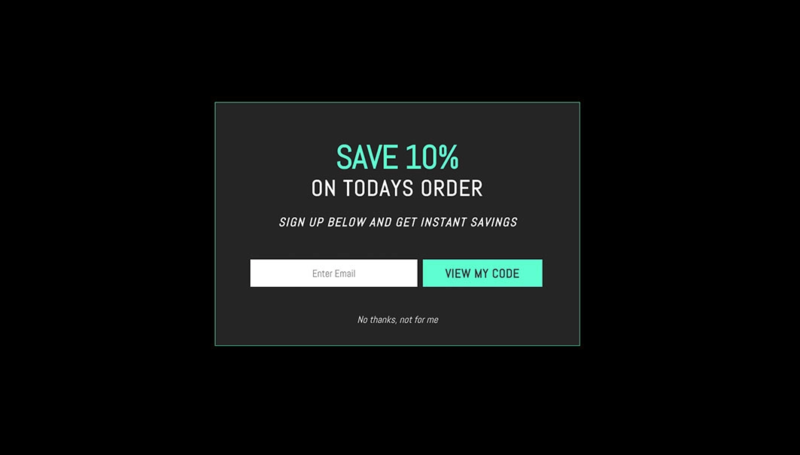 Just another variation of pop-up that you can implement and start converting new visitors with on your site. If you’re a retailer, cart abandonment may be keeping you up at night. It’s one of the biggest systematic problems you face as an online store but it’s also the biggest opportunity to drive more conversions. If you can decrease cart abandonment, even just slightly, you’re going to see huge returns over the calendar year. 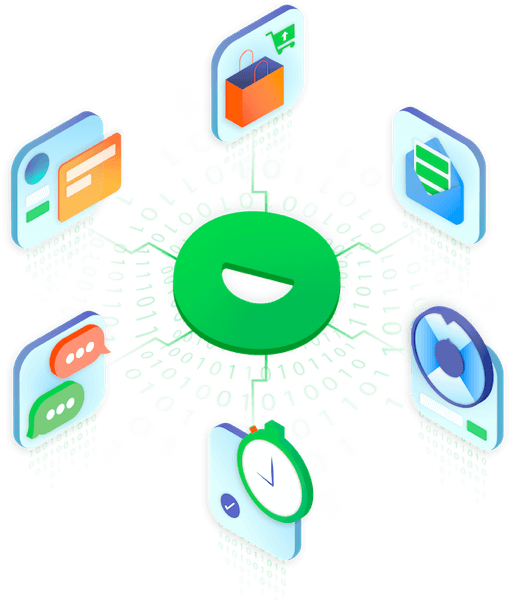 The cart abandonment pop-up or the “cart abandoner” as we like to call it internally is simple, effective, and now easier than ever to implement! By default, this pop-up will display your discount code to shoppers who are leaving either the cart or checkout page. The offer will only show to shoppers who have never previously engaged with the offer. This ensures that shoppers will not be able to use this offer multiple times. 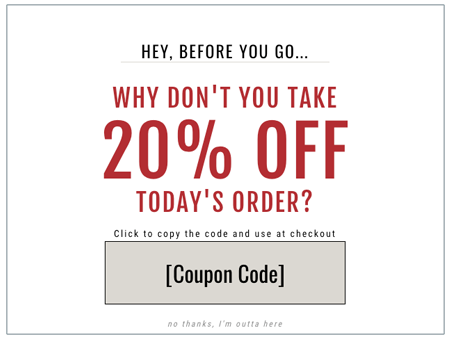 This type of pop-up has led to decreases in cart abandonment rate by 30%! Quick Tip: You may need to update the display rules if your cart and checkout pages don’t contain “cart” and “checkout” respectively. It’s never been easier to launch high converting pop-ups on your website. In addition to these six pre-built pop-ups, the Justuno team also provides seasonal and holiday pre-builts so you can get your site optimized to match the time of year! 3. Select “Choose a Pre-Built” and select from the gallery! Already have an account? Click here to access the pop-up gallery!